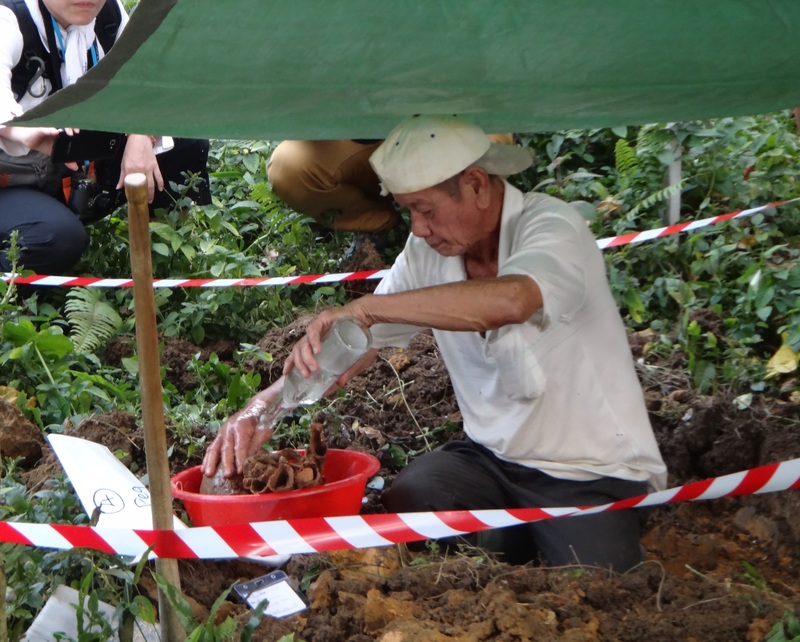 On Friday the 21st of February, three graves of Chia family members were exhumed at Bt Brown. 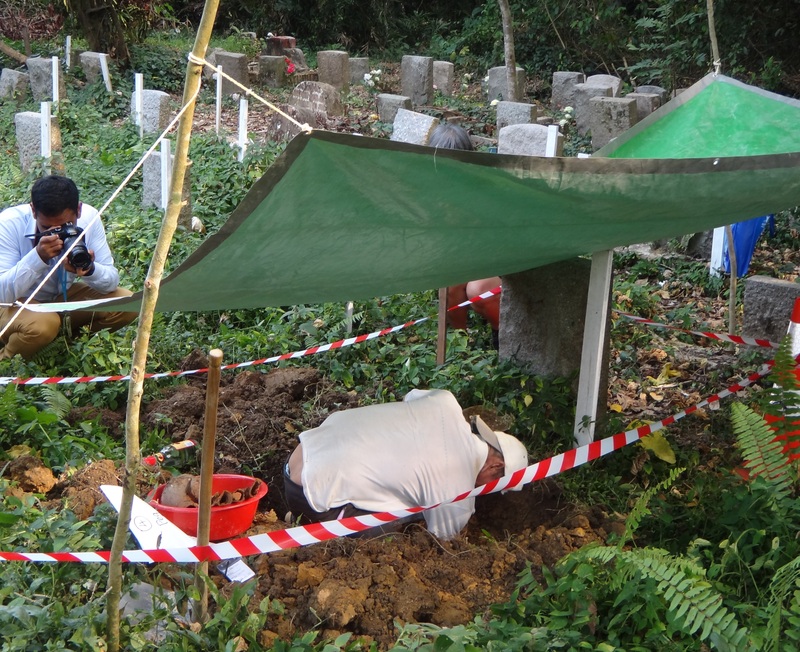 The first grave was of Mdm Tan (Chen Jian Rou) who died in 1863. She was the great-grand mother of paternal great-grand father Chia Hood Theam. 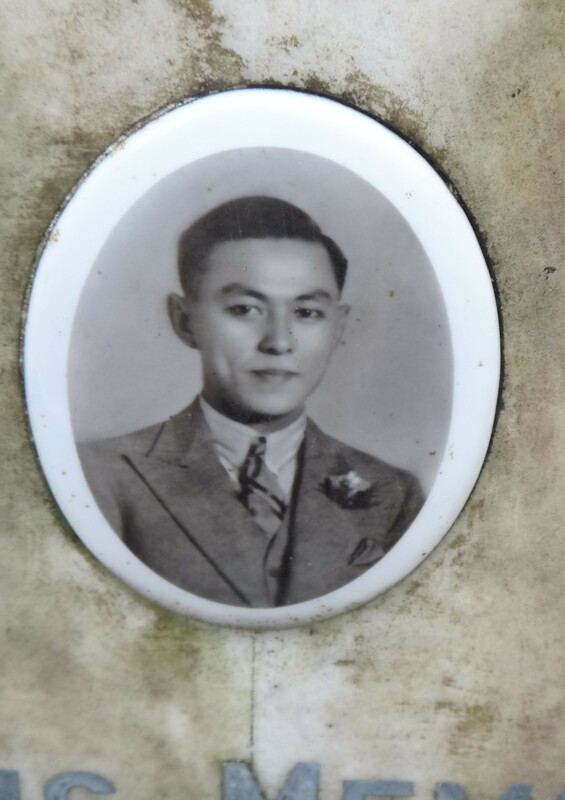 The next grave to be exhumed belonged to E Tean Choon who died in April of 1938 and whose tomb was located at Blk4, Div C. He was the husband of Chia Buay Neo, daughter of my paternal grand-uncle Chia Keng Chin. 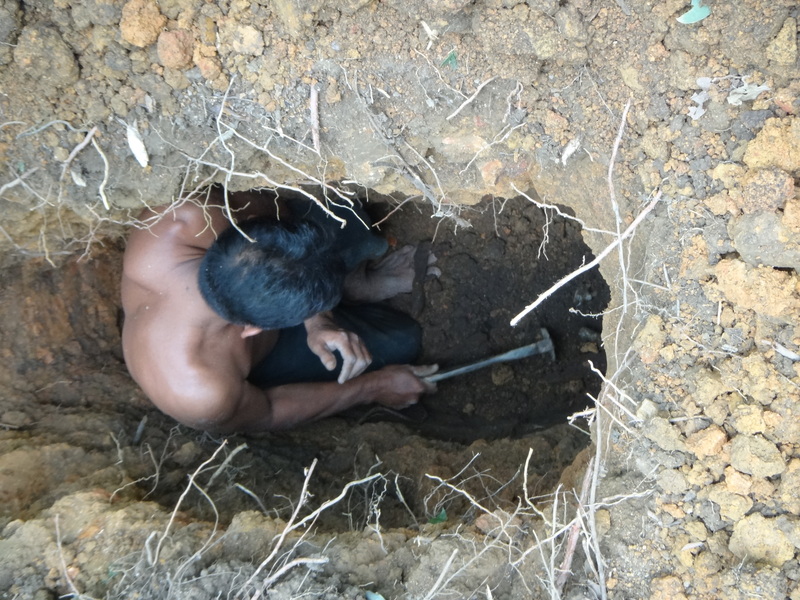 When the wooden coffin was unearthed, only a few very small bone fragments, an intact molar, a gold tooth and some metal fittings from the coffin were found. 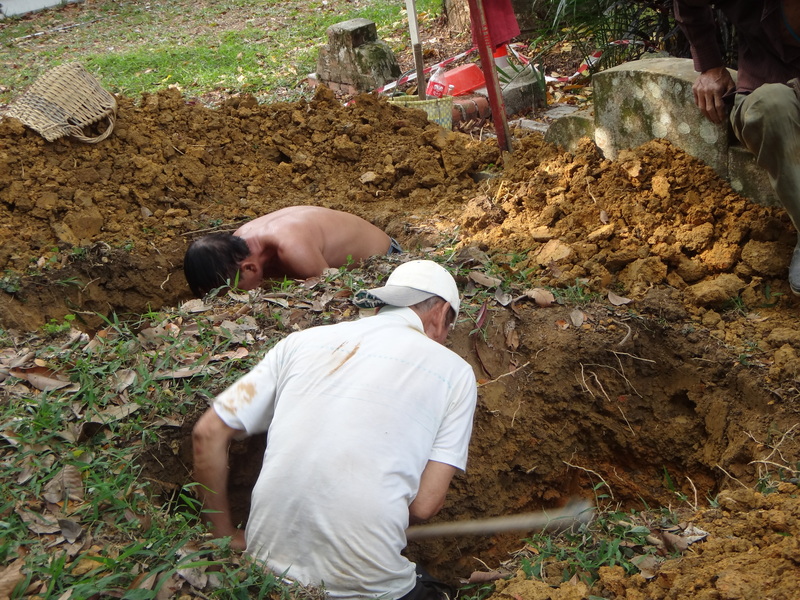 Finally the graves of my grand father’s sister, Chia Siew Lay and her husband Ong Siow Sian were unearthed. 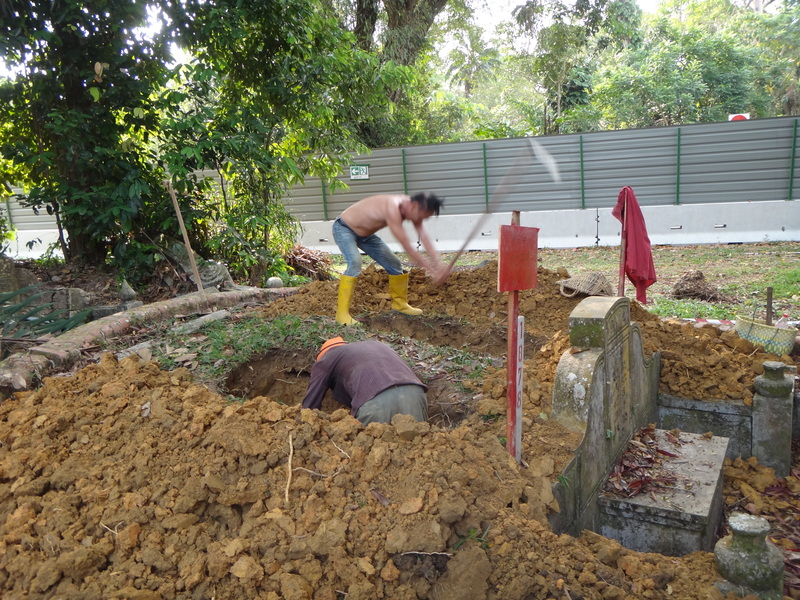 This grave was located not far from where my paternal grand father Chia Keng Tye is still buried at Blk 5. 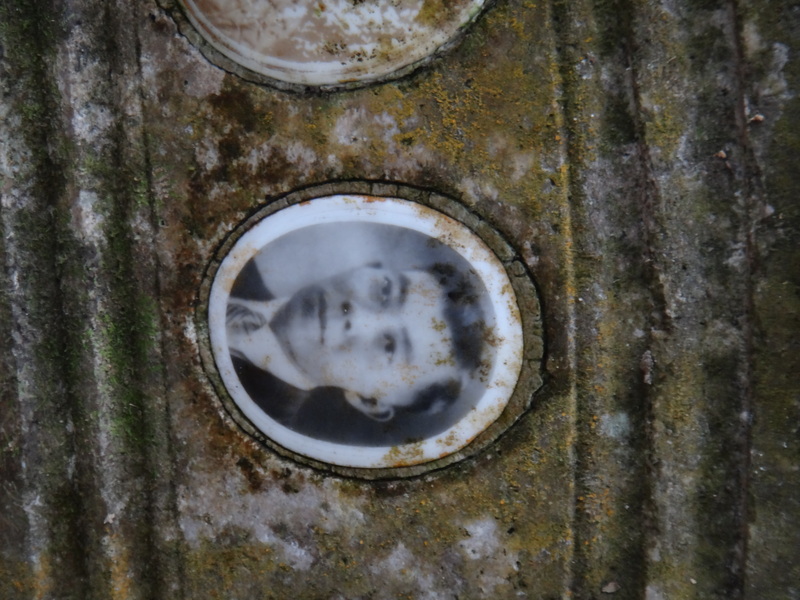 Chia Siew Lay died in March 1941, and her husband died in 1964. 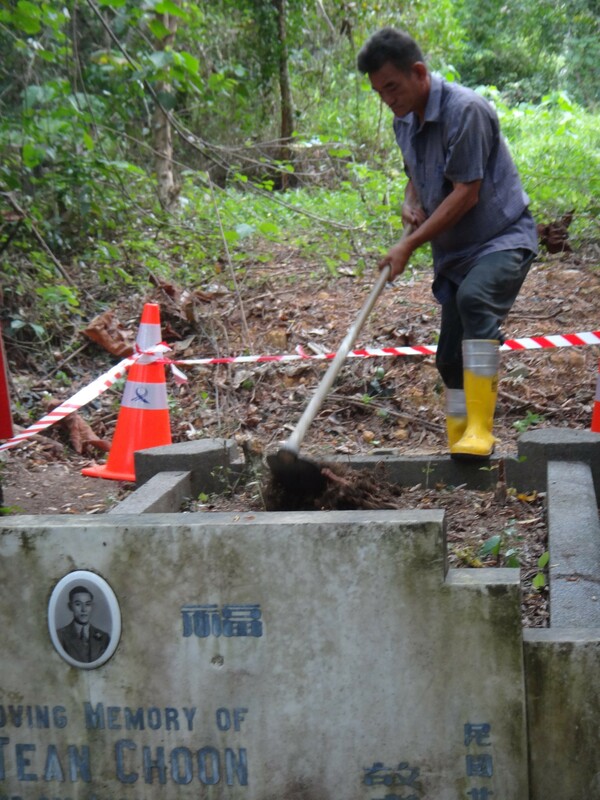 Only Mr Ong’s photo was still visible on the grave stone, while Mdm Chia’s photo was completely faded. 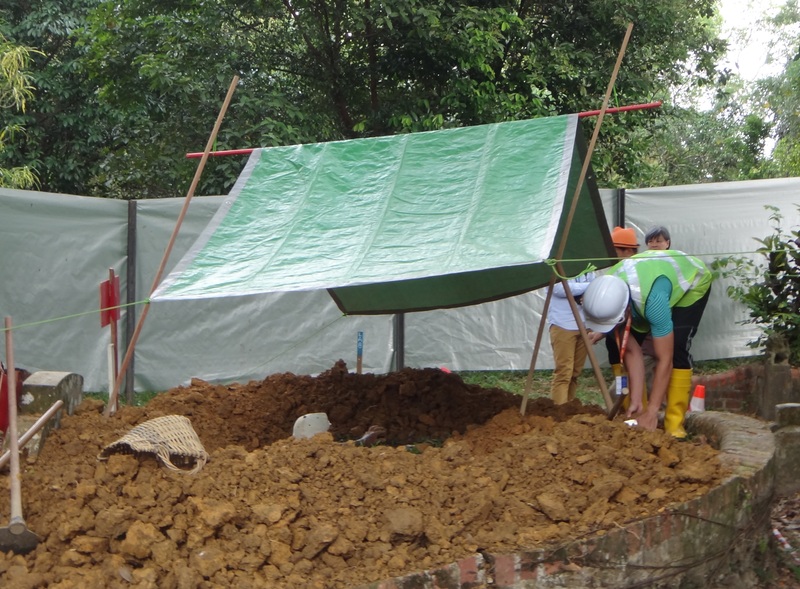 I was witness to these 3 exhumations, and subsequent collection of the ashes on the same day at the crematorium, and later installation of the urns at the Choa Chu Kang columbarium. 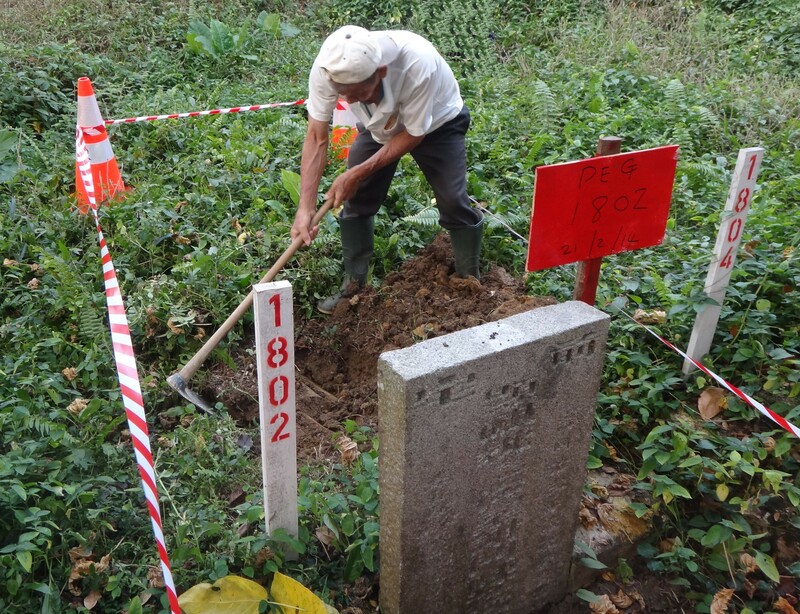 A Tree fell onto Chia Hood Theam’s grave!